Are you considering upgrading your daily drive but aren’t sure whether buying new or pre-owned is the better option? Buying a vehicle is a big decision, so before you sign on the dotted line, it’s vital that you’re completely informed and comfortable with your decision. 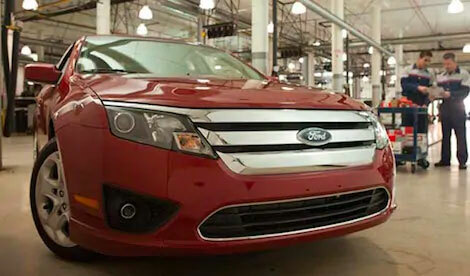 That’s why the product specialist at Westlie Ford in Washougal, WA have put together this detailed overview of the benefits of buying a new vs. used car, truck, of SUV. If you have questions before you continue, give the Westlie Ford team a call at (877) 299-1138. First Driver – Buying a new car means you’ll receive the comfort of knowing that you are the first and only person to ever drive your vehicle. No miles on the odometer, no mechanical issues, and an accident-free history report. Latest Technology – A new vehicle allows you to enjoy the latest innovative technology features and advanced safety systems available. Choose Your Features – When you make the decision to purchase brand new, you can customize your vehicle to your specific tastes and personality. Is leather upholstery calling your name? Do you want a premium sound system for listening to your tunes? Have you always dreamed of having a sunroof? Buying a new vehicle allows you to find the exact features you’re looking for without making sacrifices. Better Financing Rates – When purchasing a new vehicle, it will likely come with better financing rates. New specials and incentives also allow you to find amazing savings on your next Ford car, truck, or SUV. Manufacturer’s Warranty – A brand new vehicle will have a manufacturer’s warranty, so you don’t have to worry about emptying your wallet on major repairs for the duration of the warranty. Price – Buying a used car over a new model means you can save thousands of dollars on the price. Even a model that’s just a year or two old can cost significantly less than the same model that’s new. Certified Pre-Owned Programs – If you’ve decided to buy used but want the security of buying new, purchasing a certified pre-owned vehicle is a great solution. A CPO vehicle is only a few years old and still comes with a manufacturer’s warranty. Avoid Depreciation – A pre-owned vehicle won’t experience depreciation that’s nearly as steep as a new vehicle will. Should you need to sell your vehicle before your loan term is up, you’ll still likely be able to recoup your costs, which isn’t always the case with a new vehicle. Lower Insurance and Repair Costs – Used vehicles are cheaper to insure and repair than their new counterparts. Higher Trim Levels – When you decide to purchase a used vehicle, you can find much higher trims with premium amenities and advanced technology features that you might have had to pass on with a new model due to costs. 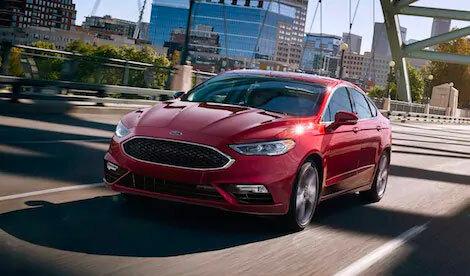 Now that you’ve learned about the benefits of buying new vs. used car, truck, and SUV models, head over to our new inventory and pre-owned inventory to see the available models at our Ford dealership in Washougal, WA. If you’re unsure which Ford car, truck, or SUV is right for you, visit our model research hub for more information on the Ford lineup. If you have questions about any of the vehicles in our inventory or would like to schedule a test drive at our Ford dealership in Washougal, WA, reach out to the Westlie Ford team through our contact form or give us a call at (877) 299-1138.